Great Britain, an island in the Northwest of Continental Europe has a total land area of 93,000 square miles and population of over 60 million. Great Britain, surrounded by over 1000 islands, comprises of England, Scotland and Wales. Great Britain is part of United Kingdom, which includes Northern Ireland too. Its terrain is mostly rolling hills with hills, mountains, and river valleys. UK is a developed country and is the world’s first industrialized country. England and Scotland have been the pioneers for major scientific and industrial inventions. It is a major power player with strong economic, military, scientific and political might and is a member state of many world organizations including UN, NATO, WTO, G8, G20, etc. London and Edinburgh are two of the largest financial centers of Europe. The economy of England is the sixth largest economy in the world. Industry, manufacturing, finance, agriculture, tourism, services, and fishing are the major sectors of its partially regulated market economy. May through September is the best time to visit Great Britain. 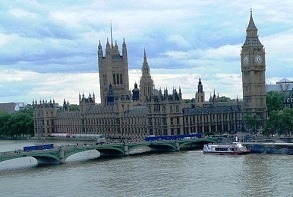 UK is a major tourist destination and London in particular is a hub for international visitors. Castles, museums, art galleries, and historical sites are commonplace in Great Britain. British Museum, Natural History Museum, Tower of London, Victoria and Albert Museum, London Eye, Buckingham Palace, etc., are the major attractions of London. Stonehenge, Cambridge, Stratford, are sites worth exploring to get the English flair. Edinburgh and Glasgow are the best contribution of Scotland. Sandwiches, fish and chips, pastry, roast beef and Yorkshire pudding have been the staples of English cuisine till late, - today these recipes are getting a gourmet makeover. DK Eyewitness Travel Guide: Great Britain 978-0756669263 $20 A good introduction to Great Britain for travelers followed by region-wise sections covering London, Southeast England, The West Country, The Midlands, The North Country, Wales, and Scotland. The guide sums up with sections on Travelers’ Needs and a Survival Guide. Streetwise Great Britain Map 978-1886705685 $10 Laminated Country Roadmap. Main Great Britain Map at 1:2,000,000 scale and London Area Map at 1:970,000 scale. The first stamps of Great Britain were a set of two imperforates issued in May of 1940 showing Queen Victoria’s head portrait. The set of two stamps (Scott #1 to #2) catalog upwards of $20,000 for mint and around $1000 for used. There is a wide variation in the valuations based on the plate number. The first stamp is nicknamed Penny Black and the second Penny Blue. These are generally acknowledged as the world’s first adhesive postage stamps. British stamps are also distinct in that they don’t show the country name – the first stamps were used only locally and so country name wasn’t relevant at the time. A number of variations on the QV theme followed and those were the primary stamp issues of Great Britain until the turn of the century. The last set in the time period was a long set of twelve stamps released between 1887 and 1892 for the Queen Victoria Golden Jubilee to mark the fiftieth anniversary of her accession. The set (Scott #111 to #122) is noted for its design variety and catalogs for around $575 mint and around half that for used. Most of the QV issues released in the interim are also valued highly, although certain lower denominations can be acquired inexpensively. Great Britain released a set of four stamps during the 1913 to 1918 timeframe in the “Britannia Rule the Waves” theme. The set (Scott #173 to #176) catalogs for $3400 MNH and $2100 used. The theme is from a British patriotic song derived from the poem “Rule, Britannia” . A set of four stamps released in 1955 in the Castles theme. The set (Scott #309 to #312) catalogs for around $300 MNH and $60 used. The designs show Caernafon Castle in Wales, Carrickfergus Castle in Ireland, Edinburgh Castle in Scotland, and Windsor Castle in England. Great Britain is a country of countries consisting of England, Northern Ireland, Scotland, and Wales. This set features representations from each of those areas. A set of two stamps released on September 25, 1961 to mark the seventh Commonwealth Parliamentary Conference. The set (Scott #385 to #386) catalogs for around $4 MNH or used. The designs show Hammer Beam Roof of Westminster Hall and the Parliament with QE portrait prominently in the middle. In the 60s, Great Britain had a number of issues with omission errors. Stamps with those errors catalog for a huge premium. This set has a couple of varieties with such omission errors: On Scott #385, there is a variety with gold omitted that fetch in the $1000 range. On Scott #386, there is a variety with the Queen’s head omitted that catalog for a much larger premium at $9000. Other sets that feature varieties with omission errors include the National Productivity Symbol set (Scott #387 to #389), Paris Postal Conference issue (Scott #392), Cable around World and Under Sea issue (Scott #401), Lister’s Carbolic Spray set (Scott #426 to #427), ITU Centenary Set (Scott #442 to #443), etc. A set of two stamps released on July 22, 1981 to mark the Wedding of Prince Charles of Wales and Lady Diana Spencer at Saint Paul’s Cathedral on July 29, 1981. The set (Scott #950 and #951) catalogs for around $3 MNH and under a dollar for used. Many millions of this set was issued but given the subject matter, the set still commands a slight premium over definitive stamps from the period. A set of four stamps released on October 18, 1988 showing photographs of Castles of the four countries of UK. The set (Scott #1230 to #1233) catalogs for around $35 MNH and around half that for used. The photographs featured were taken by Prince Andrew, Duke of York and the second son of QEII. Very high-volume issues featuring QE II photographic portrait made by Dorothy Wilding formed the major definitive series of British stamps during the period from 1952 to 1967. A similar series featuring an even simpler design showing the sculptured profile of QEII and the denomination called the Machins replaced the Wildings in 1967. Even though the stamps are very high-volume, there is good collector interest as there are many varieties for each issue due to different printing methods adopted over the years. A set of eight stamps released on April 21, 2005 featuring UNESCO World Heritage Sites in Great Britain and Australia. This is an omnibus with Australia numbers #2369 through #2376 forming the sister set. The set (Scott #2280 to #2287) catalogs for around $12 MNH and around half that for used. The designs show Hadrian’s Wall in England, Ayers Rock at Uluru-Kata Tjuta National Park in Australia, Stonehenge in England, Wet Tropics of Queensland in Australia, Blenheim Palace in England, Greater Blue Mountains Area in Australia, Heart of Neolithic Orkney in Scotland, and Purnululu National Park in Australia. Coins of Great Britain dates back to the Anglo-Saxon kingdoms of the 7th century when small, thick silver coins were issued. Numismatists call them sceattas. Thinner coins introduced in the middle of 8th century formed the major coinage of Great Britain till the 14th century. Gold coins were issued as far back 1344 AD when Edward III issued a gold coin termed a Florin valued at six shillings. The famous British Gold Sovereigns were introduced by Henry VII in 1489. The sovereign was a circulating coin until 1914. Proof Specimen sets containing one each of every circulating coin was introduced in 1826. Sovereign gold issue as bullion coins started in 1957 and proofs were introduced in 1979. Other variants of the Sovereign Gold Coin introduced in the 15th century include half sovereigns, two pound sovereigns, and five pound sovereigns. A bullion one ounce coin termed Gold Britannia was introduced in 1987 along with fractional sizes of half ounce, quarter ounce, and tenth ounce. Coins $1 and up Recent Pence in UNC starts around $1. Shillings from the 1950s and 1960s in VF starts around $5. Proof year sets from the 1990s starts around $40. Gold Sovereigns go well into the 100s and 1000s. Paper Money $2 and up Common Poundage in UNC starts around $2. Poundage and Shillings from the 70s and prior dates in UNC and the 30s in VF starts around $20. Recent Bundles and High Values in UNC starts around $50. Low Serial Numbers, War Overprints, etc go into the 100s. Replicas of the different attractions, art, crafts, ceramics, pottery, woodcarvings, etc., are some popular reminders of a visit to this country. Militaria $15 and up Patches, Royal regiment cap badges, etc start around $15. WW badges and medals start around $25. WW Royal Air Force (RAF) patches start around $50. Art $15 and up Original early 20th century posters and photos around $15. Limited edition 19th century antique art prints start around $30. Original works by Joan Miro, John Gould, etc go well into the 100s. Antiques $10 and up 19th century maps start around $10. Small curios and figurines start around $20. Original 18th century and prior maps go into the 100s.